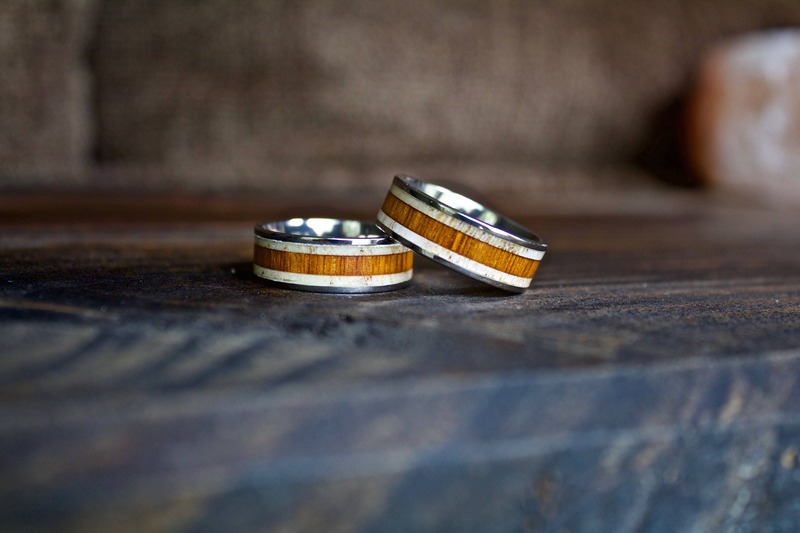 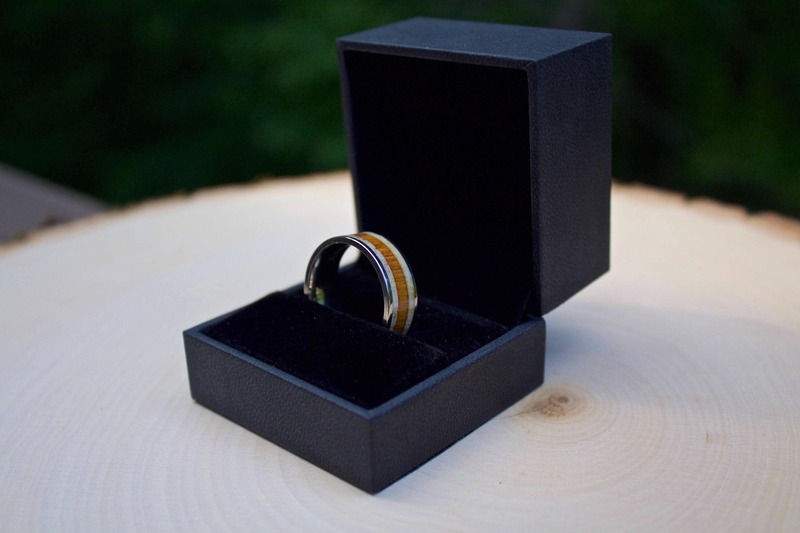 This beautiful titanium ring is inlaid with real koa wood and deer antler. 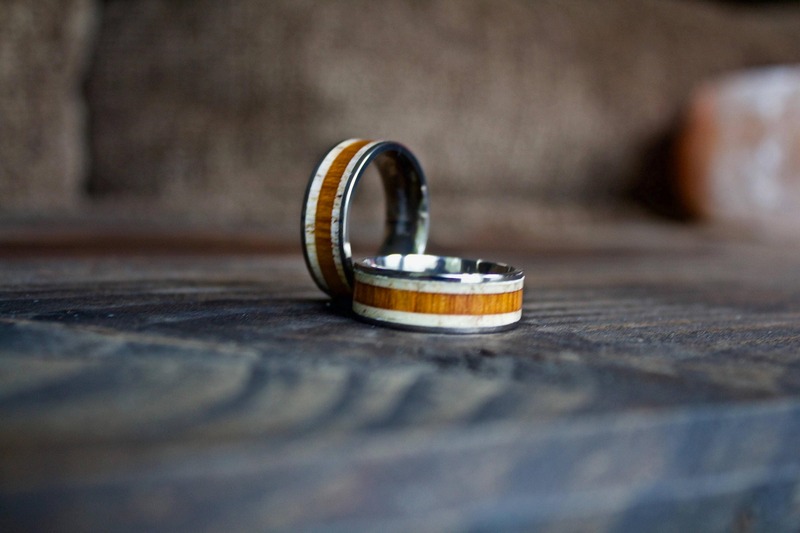 Koa wood is widely considered to be the most beautiful and useful of Hawaii’s native hardwoods. 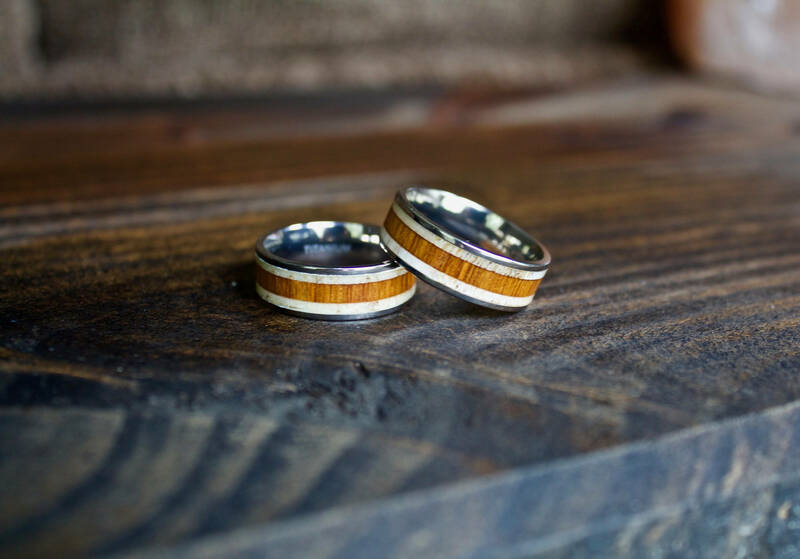 The deer antler is naturally collected, each antler color and pattern unique, making the ring you purchase one of a kind.